Beautiful Craftsman Kensington model to be built in private enclave of 8 custom homes built by Snead Custom Homes loaded with high end finishes. 4 bedrooms, 2.5 baths, library, formal dining room, large family room with gas fireplace, professional gourmet kitchen with breakfast nook, mudroom with custom cubbies. 4 bedrooms and 3 full baths up including luxury owners suite with sitting room. Bedroom level laundry. Home is customizable. Excellent location, 1 block to Broad Street/Rt. 7 and the heart of the City of Falls Church. Easy access to Rt. 29/Washington St. and East Falls Church Metro and minutes to Target, Elevation Burger and Pizzario Orso! 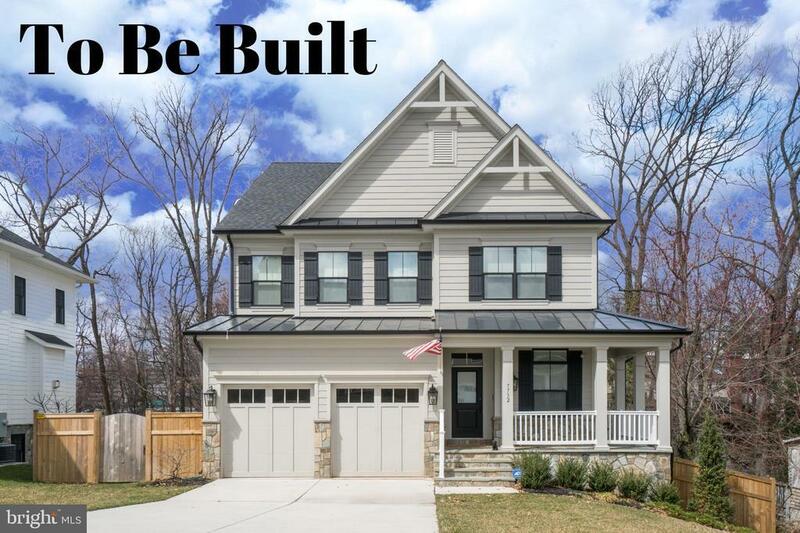 Snead (Featured in Home and Design Magazine, Top Custom Home of the Year, 3000-5000 square feet, 2017, and NVBIA Recipient of Grand Prize of the Custom Home of the year, 2017, GALA Awards) has built over 50 custom homes in Falls Church, McLean, Great Falls, Arlington, and Alexandria. Photos are sample of other existing homes built. 2 of the 8 lots are sold.